Do you suffer from joint pain and stiffness? The Bio-Mat™ mx Amethyst is a high-tech Negative Ion and Infrared Ray treatment system that emits many negative Ions and Far Infrared Rays, which contribute to a healthy life. The Bio-Mat™ mx system is an advanced and effective product developed by a highly skilled group of scientists, medical professionals and engineers. The gentle warmth of your Bio-Mat™ mx Amethyst gives you an overall massaging effect, soothing jangled nerves and knotted muscles while healing and cleansing your body. 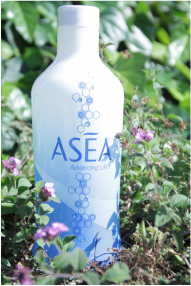 You'll feel rejuvenated and renewed, restored in body and mind. Already accepted by many insurance companies such as Kaiser and State Farm, ask your doctor about insurance reimbursement or contact us for more information. Exclusive liquid product to contain BioCell Collagen TF. Jusuru® is a cutting-edge liquid nutraceutical that promotes healthy aging, active joints, and younger looking skin. Jusuru is the only product to combine BioCell Collagen® with antioxidant-rich phytonutrient fruits abundant with resveratrol, xanthones, catechins, flavonoids, and polyphenols. Jusuru contains a naturally occurring matrix of collagen and hyaluronic acid, the substances that are vital to our skin and joints. 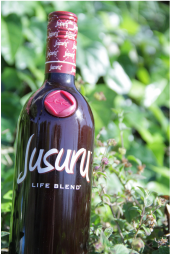 Jusuru means "to live" and Jusuru Life Blend is your start to living a youthful, healthy and active lifestyle. Patent approved. 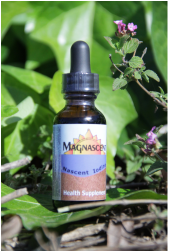 Magnascent iodine is formed when the iodine molecule is broken down to produce magnetically charged atoms of this essential element. This is iodine in the nascent state, but in a unique form which is consumable as a liquid supplement. It is widely known that iodine is an essential nutrient for the human body, and scientists and doctors have known for many decades about the unique properties of nascent iodine. However, the production of a stable and nutritionally practical nascent iodine product has eluded the medical community until recently. Call 714-296-2328 for viewing appointment. Many rare and hard to find stones from all over the world!